Florida Deputy Stood Outside as Gunman Attacked High School - Integration Through Media ....! (VOA): The armed sheriff’s deputy assigned to the Florida high school where 17 people were shot and killed has resigned rather than face suspension after an internal investigation showed he failed to enter the school to confront the gunman during the attack, the county sheriff said Thursday. 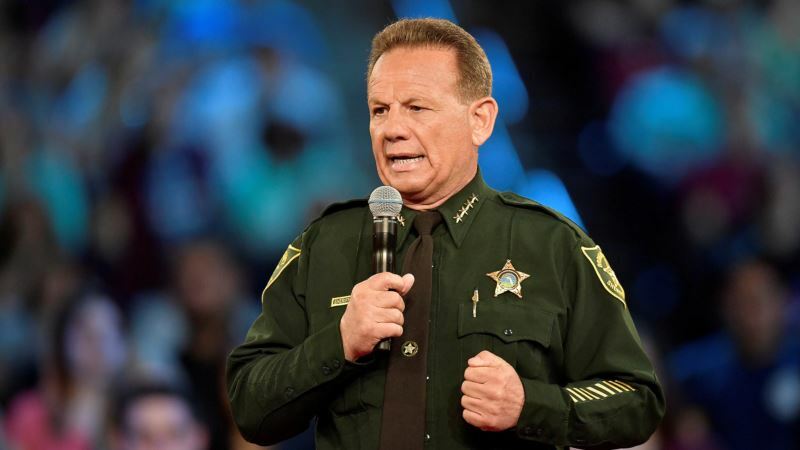 Deputy Scot Peterson, who was on duty and in uniform as the resource officer posted at Marjory Stoneman Douglas High School, was the only law enforcement officer present at the campus during the six-minute rampage last Wednesday, Broward County Sheriff Scott Israel said. Peterson’s actions were caught on video during the massacre, which ranks as the second-deadliest shooting at a U.S. public school, carried out by a lone gunman wielding a semiautomatic AR-15-style assault rifle. “What I saw was a deputy arrive at the west side of Building 12, take up a position and he never went in,” Israel said, referring to the building on campus, popularly known as the “freshman building,” where authorities said the bulk of the shooting occurred. Israel said he would not release the video at this time and may never do so, “depending on the prosecution and criminal case” against Nikolas Cruz, the 19-year-old former student who is charged with 17 counts of premeditated murder in the assault. Israel told reporters the shooting lasted six minutes, and that Peterson arrived at the freshman building about 90 seconds after the first shots were fired, then lingered outside for at least four minutes. Asked what the deputy should have done, Israel replied, “Went in, addressed the killer, killed the killer.” The sheriff said he had decided on the basis of his findings to suspend Peterson, but the deputy resigned first. Israel said two other deputies were placed on restrictive administrative assignment, stemming from their response to numerous calls for service and reports received by the sheriff’s department pertaining to Cruz during the past several years.